RS. 79.59 - 1.67 Cr. 3 Bhk 1895 Sq.Ft. 1.64 Cr. 3 Bhk 1940 Sq.Ft. 1.75 Cr. 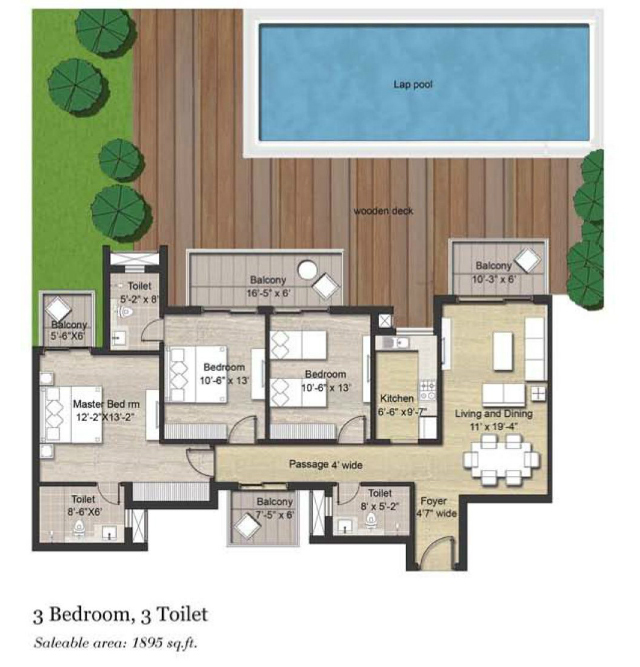 3+1 Bhk 2335 Sq.Ft. 2.00 Cr. 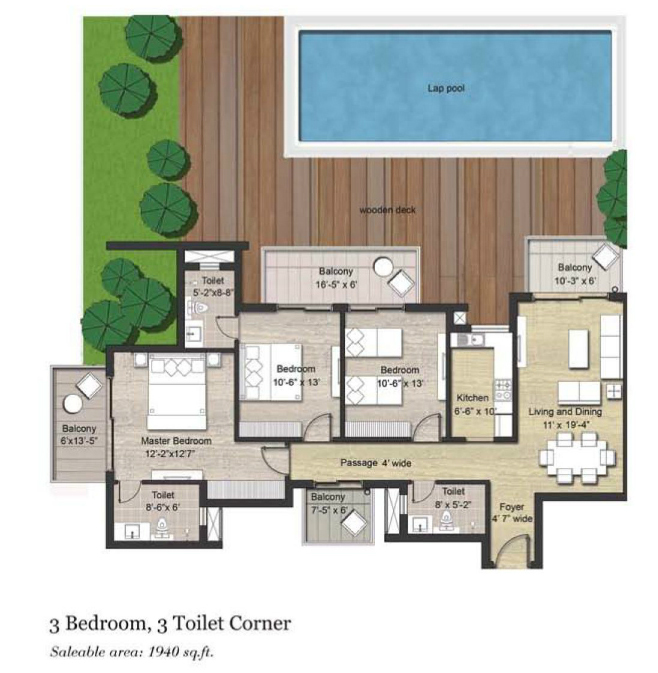 3+1 Bhk 2430 Sq.Ft. 2.17 Cr. 4 Bhk 3075 Sq.Ft. 2.73 Cr. 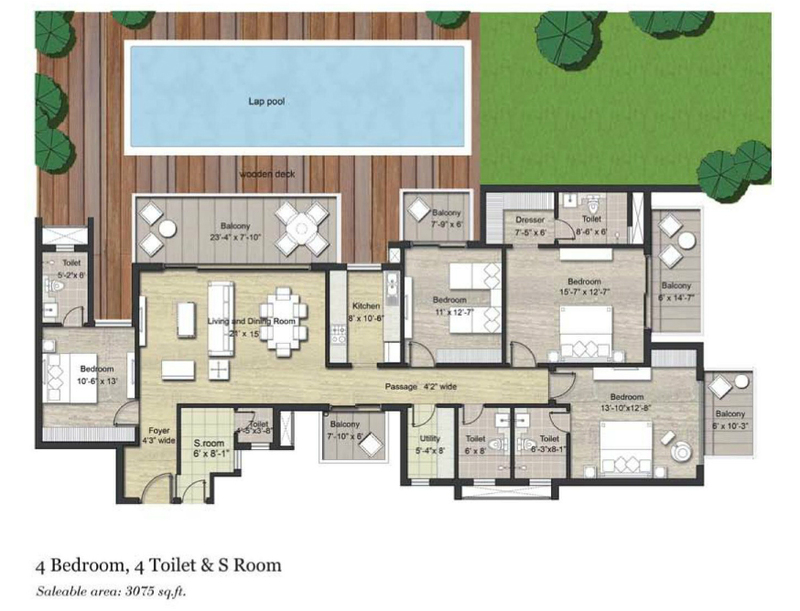 4+1 Bhk 3890 Sq.Ft. 3.42 Cr. 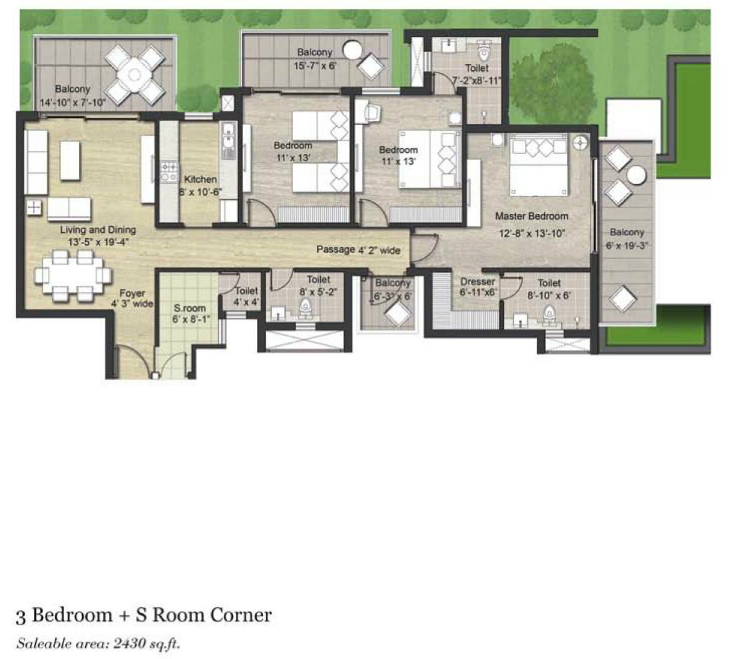 4 Bhk 3980 Sq.Ft. 3.51 Cr. 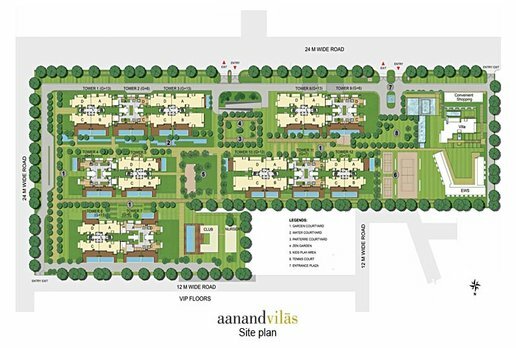 Puri Aanand vilas is a luxury residential project which has been launched by "Puri Constructions" in sector 81, Greater Faridabad(Neharpar). The project spreads across 12 acres of land that is comprised with 12towers. 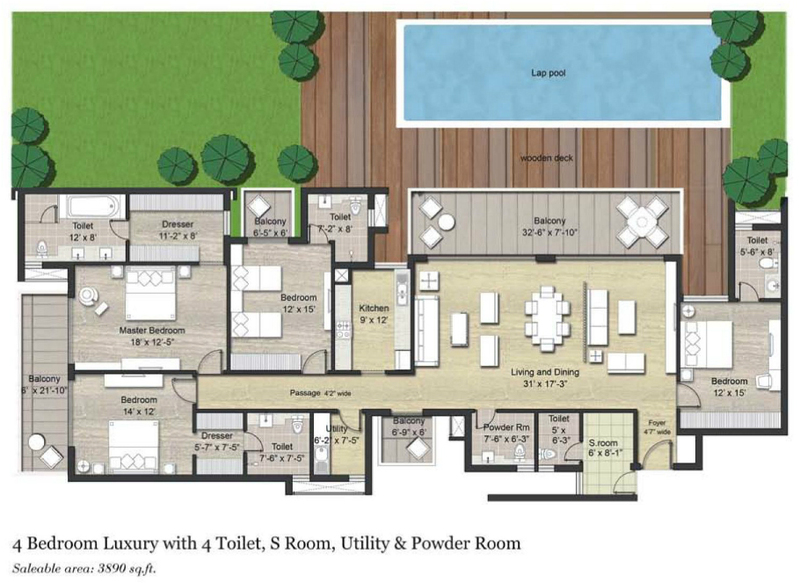 The Aanandvilas presents 3BHK, 3BHK along with servant room, 4BHK and 4BHK along with servant room in the area range of 1895 sq. ft. to 3980 sq. ft. area respectively. The possession of the project would be handed over by the year 2017. The 75% of the apartments are 3 sides open. BPTP Bridge is only 200 meters away from the location. 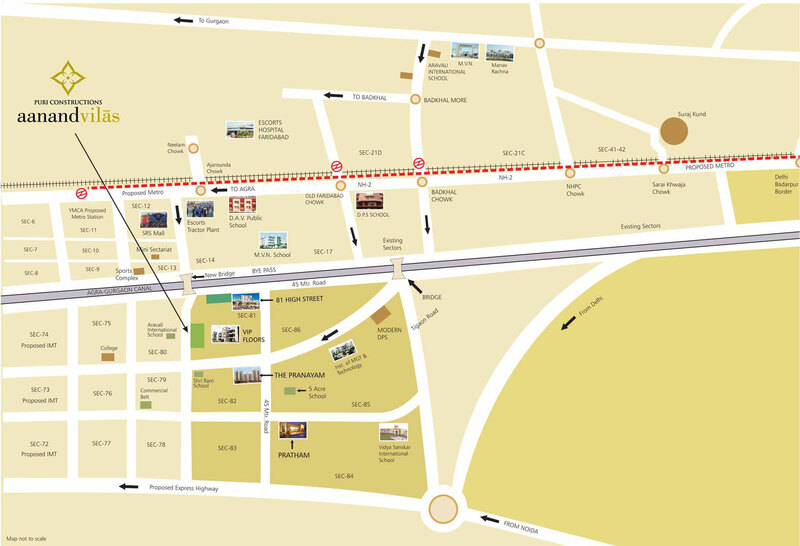 Location wise, the project has been appreciated nicely because of close proximity to Faridabad’s posh sector-14. Apart from these facilities, the project comes up with close proximity to hospital, railway station, schools, colleges and educational institutes etc. 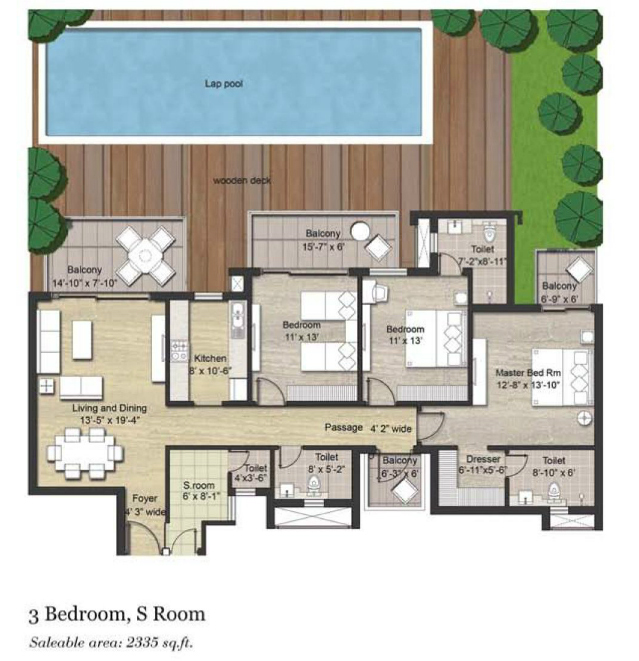 More, you will have sporting areas and recreational centres within close vicinity. 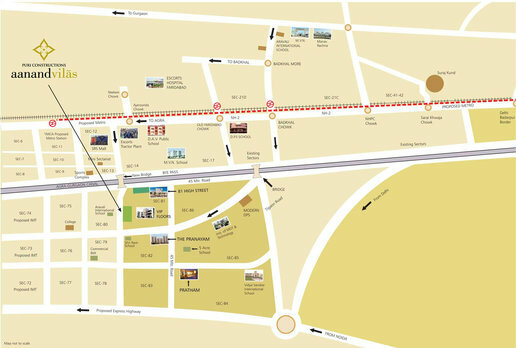 You will be having 2.5 kms from the metro station. You will have direct 6 lane express road from Badarpur border. When it comes to recreational centres and ultra-modern features we include play zone for kids, tennis court, swimming pool, AC, garden courtyard, entrance plaza, zen garden, club house and many more. Further, you will feel blessed to have close vicinity to renowned schools, colleges, shopping malls, hospitals, gym, health care centres, market hubs and many more. Further, the project is having close proximity to 100% power backup, round the clock security and 24 hours water supply. All such benefits will offer you great comfort of living. 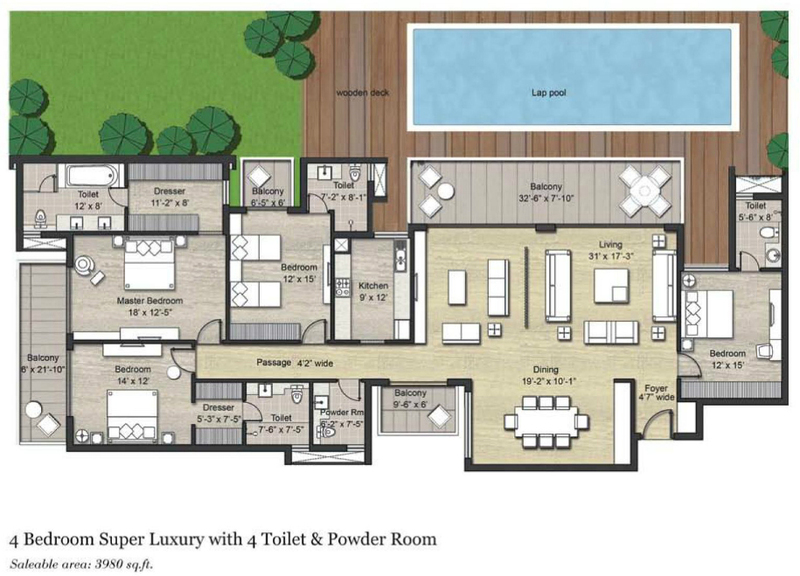 This is how, you will be able to enjoy your life at fullest having all the benefits of luxury features and secured living. On the other hand, you will be finding all such benefits at quite reasonable pricing. In today’s busy life-style, everybody needs a place where they have a breathe of relief and the place where they can enhance their living standard and some place where they can get all the daily life necessities within the shortest time frame. More, once you start finding your dream home at perfect location from where you can reach your workplace easily without spending so much of time and exertion. Once you get all these facilities at one place, you find your living a perfect one. Apart from this, you will be enjoying close vicinity to recreational centres, stunning shopping malls, famous hospitals, schools and colleges etc. All such facilities give you great comfort and facilities that make your living truly amazing and comfortable. Copyright © 2017 www.puriaanandvilasfaridabad.in All rights reserved.